What did you bring home? Some stories, some tangibles and some things that are alive. The plane dips, floats, touches, bumps, and stops. “This is the termination of flight…Welcome to Calgary.” I made it. Again. Is this the end of my trip? No. The end of my short trip becomes the beginning of another journey. My memories are wild and untamed. I wind back the days, reassess the experience, embellish my notes and write. Things I’ve brought home begin to take on a life of their own. Some of those things are stories about people. Other things are more tangible, like my coffee pot. And some things stay outside. My suitcase and everything in it stays outside. For once I hope it’s cold. Really cold. 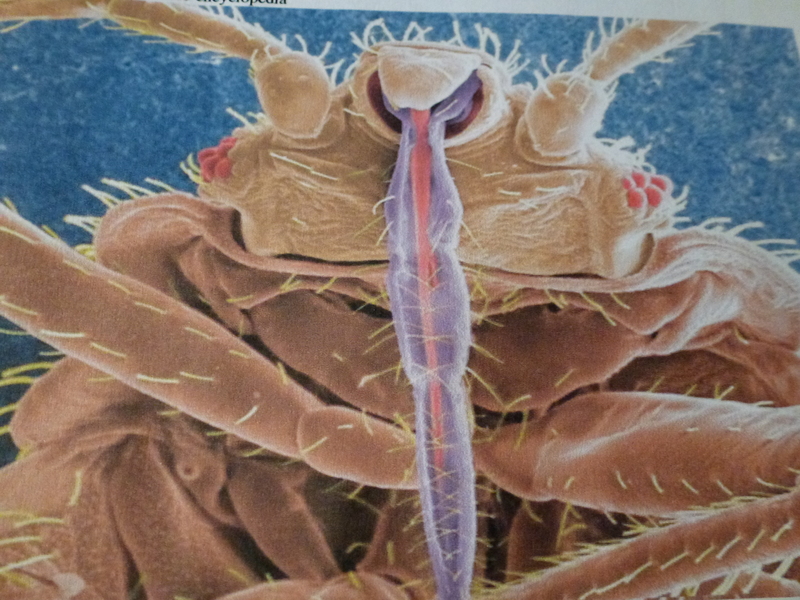 It takes seven minutes at -35’C to wipe out bedbugs or four 4 days at -10’C. I Google to learn more facts. The speedy, light-brown devils are flat and oval. Adults are about the size of a grain of cooked brown rice but bed bugs swell in size as they feast. To prove they’ve enjoyed my warm human blood exclusively for their breakfast, lunch and dinner, I’ve brought home lines of itchy red welts along the most tender and tasty parts of my body. 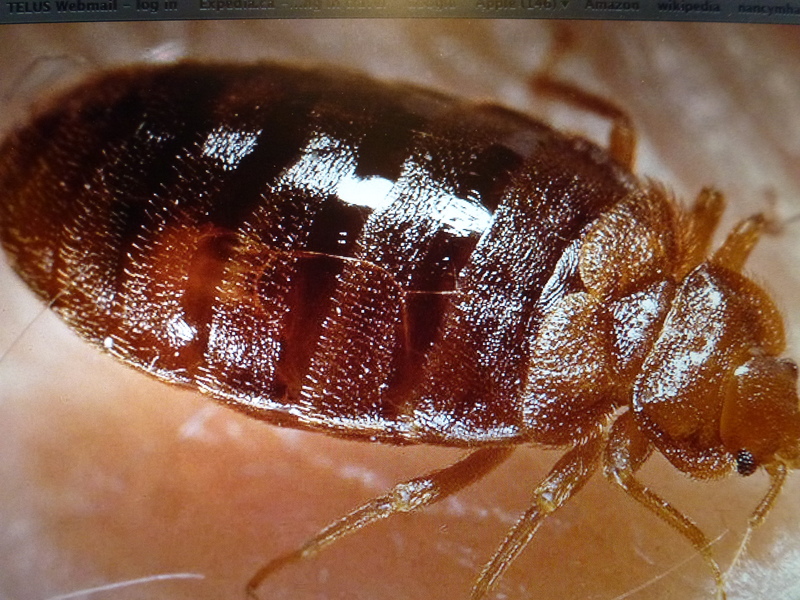 The side effects of bedbug bites are “not serious.” My research explains that I shouldn’t worry, the bites are itchy for only a week or two but, I am warned, “the psychological effects can remain for a long time.” Anxiety, stress and insomnia are common. So true. I want to cope with the psychological effects in a positive way so I’ve brought home my list of recommendations to use the next time I travel. 1. When travelling do not leave the suitcase on the bed or the floor. Put it on a dresser or a table, to keep the little beasts at bay. Be especially wary that bed bugs might be lingering around if the beds are wrapped in plastic. The bugs are under the plastic. 2. Pack everything in zip lock bags and throw in a couple extra plastic bags for laundry. 3. Wear long underwear, like a suit of amour, at night. My long johns are incredibly comforting, even if they don’t protect me all that well. 4. Smear on insect repellent with DEET. Although it may foil Malaria and Dengue fever, it is not proven to keep those prehistoric-dinosaur-like bed bugs away. But I’ll try it anyway, for moral support. And I’ll spray the bed for extra good luck. 5. Don’t forget anti-itch lotion, hydrocortisone cream and antihistamine pills. They may help the itch. 6. Pay attention to all bed bug advice and rumours. Coming next week: “Desert Coffee” A story from the Silk Road. A writer who can make bedbugs into a “page turner” is sure to have an avid following before long! Can’t wait for your next entry. Thanks Lynne, my good friend in adventure. I just had to get those bed bugs off my chest ( no pun intended). Writing about what’s on my mind and in my heart (and on my chest) is as good for health as yoga. Point made. I agree. Delete the bedbugs. I just had to get them off my back. Thanks so much for reading.